Q) How to enable Double Tap to turn off Screen or Double Tap to wake up? Q) How to Quickly open camera App? A) Go to Settings -System- Gestures -Turn on Jump to Camera- Now Press the Power twice to open camera App also while on the lock screen you can swipe from right bottom to open camera App. Q) How to Change Date and Time? Q) How to Change Font Size? Q) How to Change Display size? Q) How to change Screen Color? Q)How to take the screenshot on Asus Zenfone Max Pro M1? A) Press and hold volume down and power button simultaneously. The screenshot will be captured. Q) How to Display battery % in the Status bar? Q) How to enable Screen Pinning Feature? A) Go to settings- Security & Location -enable Screen Pinning, you have to open the app you want to pin. Now, tap on the overview button and again tap on the pin icon. To unpin the screen, you have to tap on the overview and back buttons at the same time. Q) How to Enable Split Screen Mode? A) Just tap on the Overview button and drag the required app to the top of the screen. While the upper half is now filed with the dragged app, now select the other app for perfect multitasking. 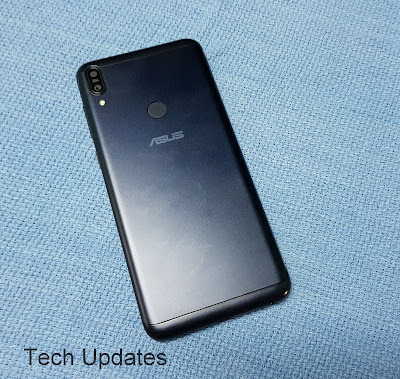 Q) How to Reset Asus Zenfone Max Pro M1?